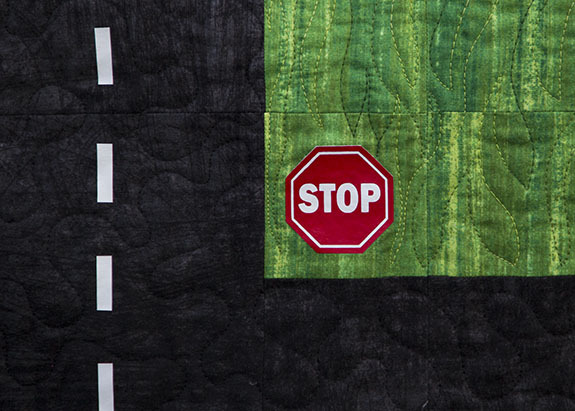 This is my second entry for the Blogger's Quilt Festival over at Amy's Creative Side. You can find my first entry here. 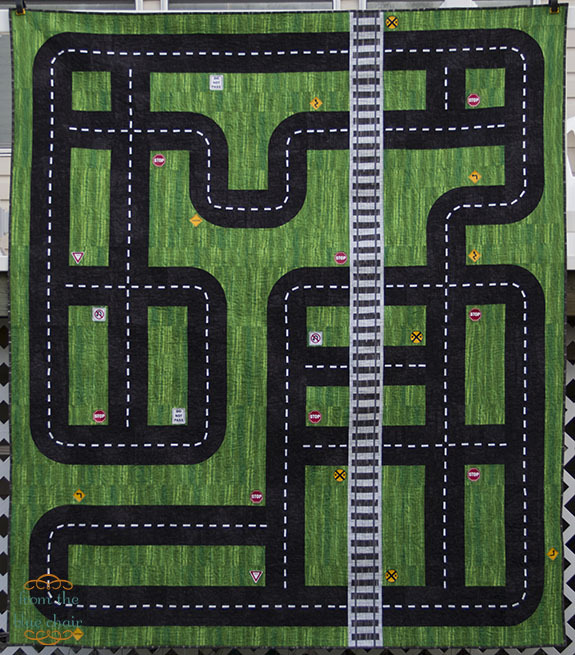 This is my Roadwork Quilt. I made this for my little guy's bed. I created the whole quilt from just a few simple blocks. I then used heat transfer vinyl to apply the white striping and road signs. I love how it turned out, and it was so perfect for him considering his love of cars. He was so excited about it when it was on my design wall and kept asking me to finish is "roads". Now, a couple months after being finished, it is often on the floor rather than his bed, but at least he knows I made it just for him. Such a fun quilt - perfect for a boys room! I think I've said it before, but I really love this quilt. It's such a fabulous idea! Love this idea. I loved playing with cars and making roads in the dirt when I was a kid. This is such a nice alternative...lol Thanks for sharing. Such a fun, special quilt!! It matters not where the quilt is used, just that it's loved by someone. Your boy is very fortunate to have this great quilt! Love the vinyl parts on the roads, genius! 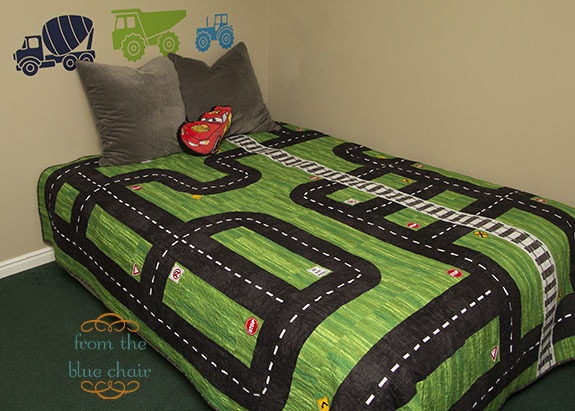 Perfect quilt, I bet he loves playing cars on it! This is fun! The whole heat-transfer-vinyl thing is completely new to me - what is this? This would have been perfect for my son when he was little, alas, he is now 28. Our son is 25, but he would have LOVED this as a young boy! Great quilt! how nice! I have to make the same for my little boy! Awesome little boy quilt! He is one lucky guy!